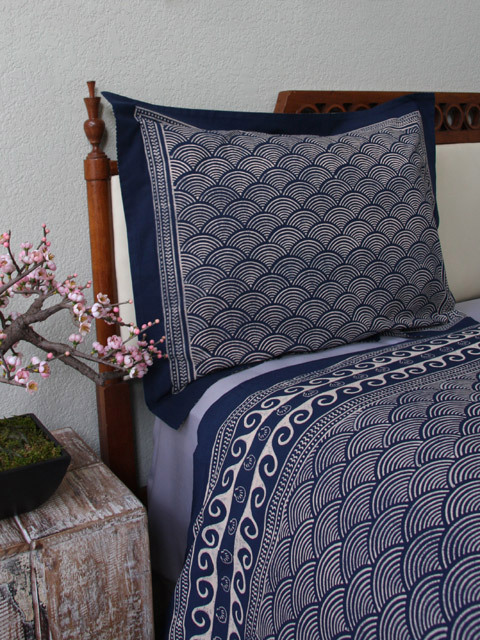 A chance encounter with a friend, an accidental brush with centuries old Japanese pottery and an attempt to channel a relaxed coastal lifestyle – all these inspired Anisha to create this magnificent print. 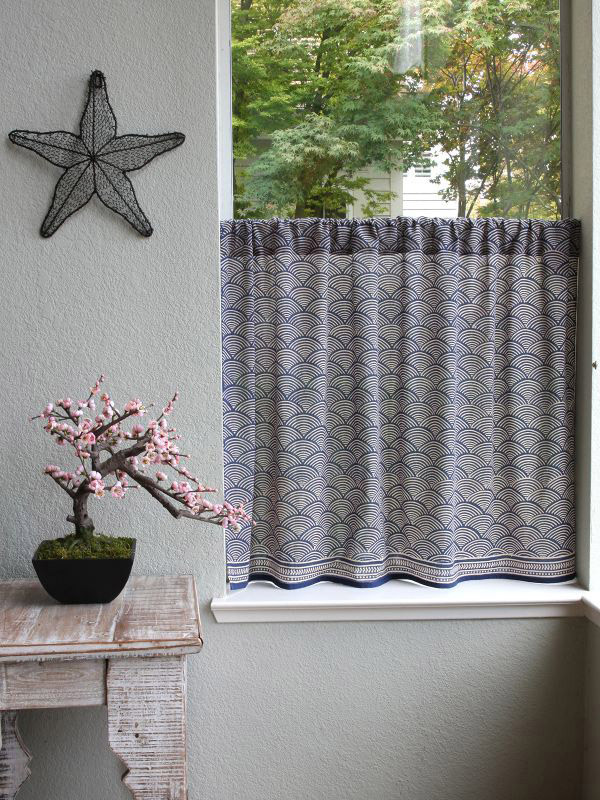 Say hello to Pacific Blue… Find ideas for the dining room, living room, bedroom, and bath, as well as prints that mix and match. 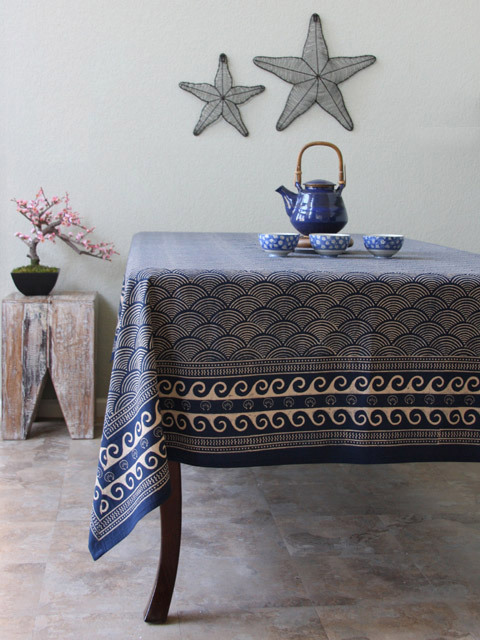 Dine seaside all year round when you cover your table with our indigo cotton Pacific Blue table linens. 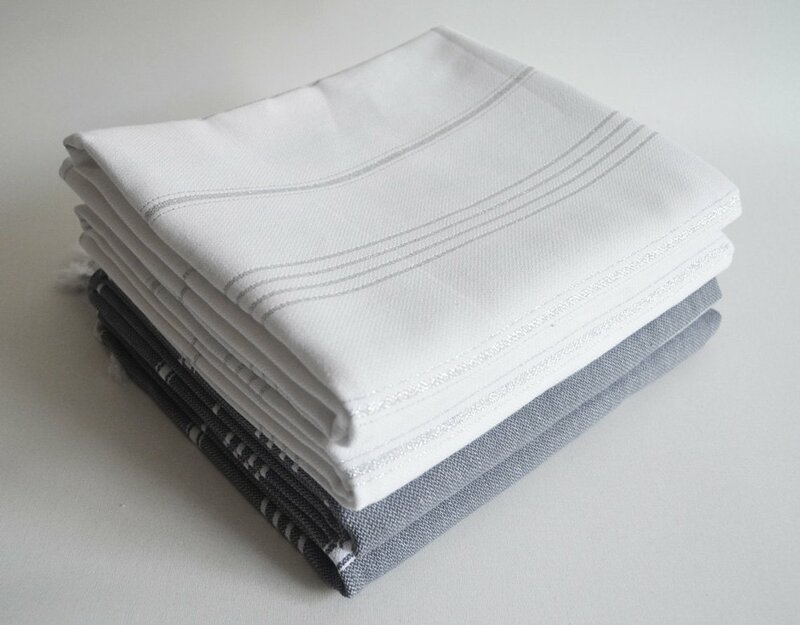 These exceptional tablecloths, runners and napkins are created in small batches by a select group of artisans who’ve gained expertise over years of work. 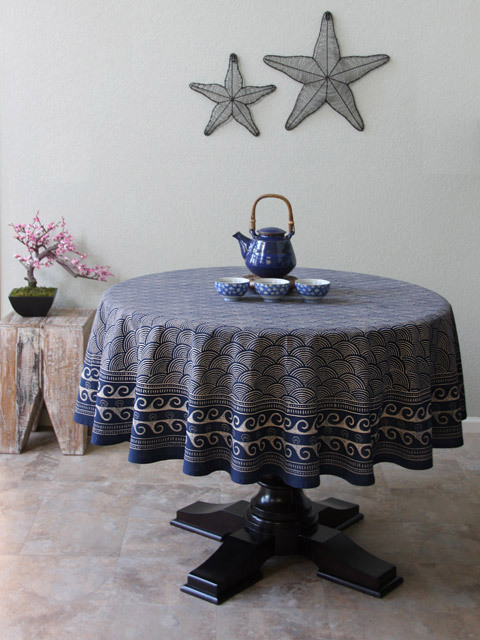 Your dining room will speak of serenity and unique authenticity when you enjoy these rustic Japanese inspired linens. 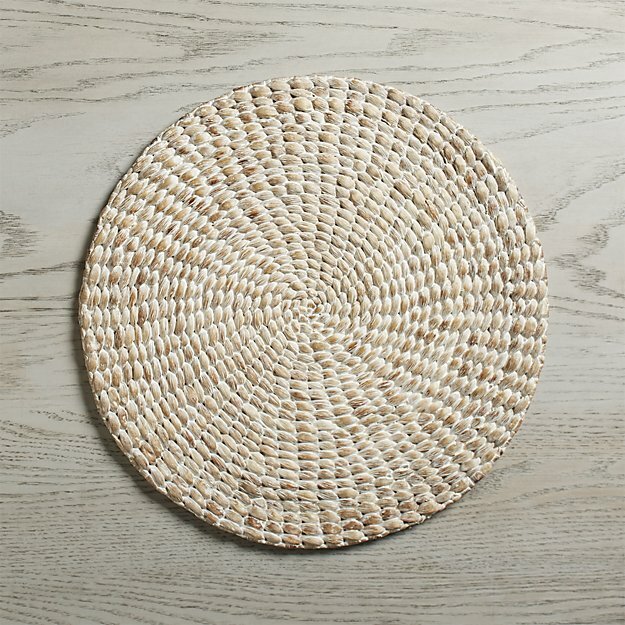 Layer a few easy, naturally elegant elements on your table, such as woven chargers in natural water hyacinth. Yes, French ceramics have a place at this table, too. 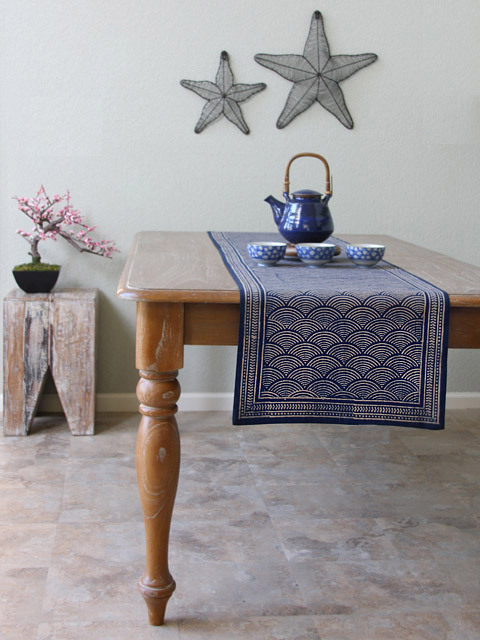 Especially pieces that practically glow with rich, reactive glaze in a star-struck navy blue. 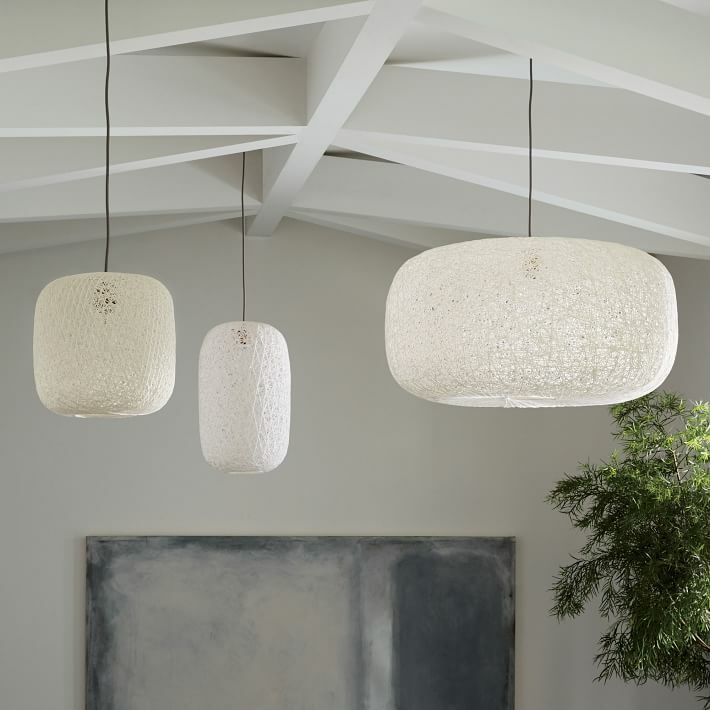 Organic and modern, these intricate and understated lamps will set a scene of sophisticated ease. 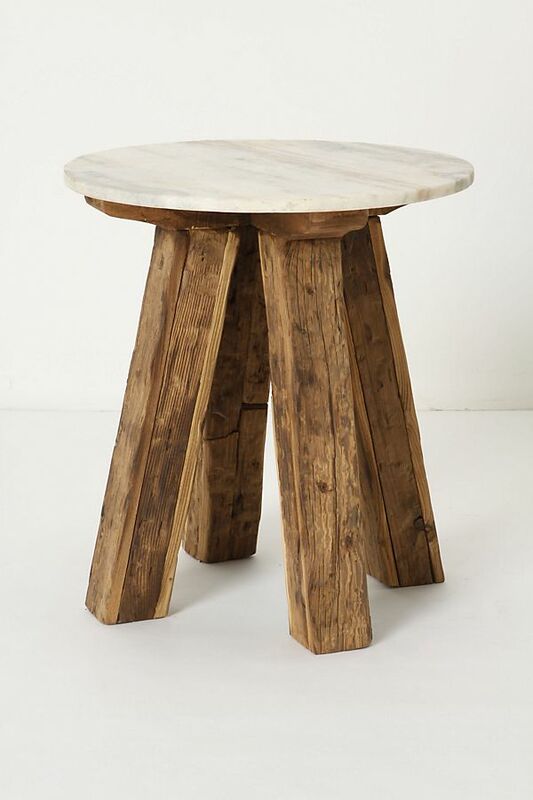 This gorgeous hand carved piece will fit right in with the artisanal feel of your Pacific Blue dining room. Expect this, along with your linens, to be family heirlooms. 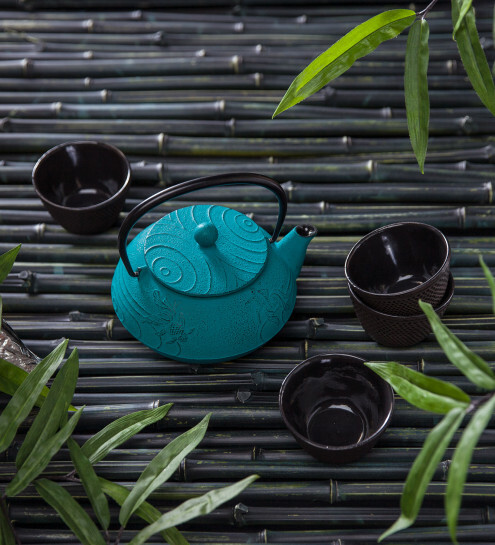 No dinner or afternoon gathering is complete without an aromatic pot of tea. 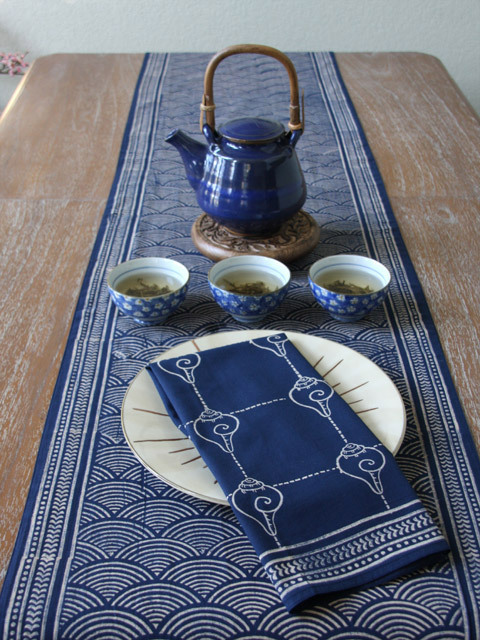 Why not serve it in an exquisite, traditional set? This piece comes from a century-old Japanese manufacturer, and will keep tea at a constant, warm temperature for at least an hour. 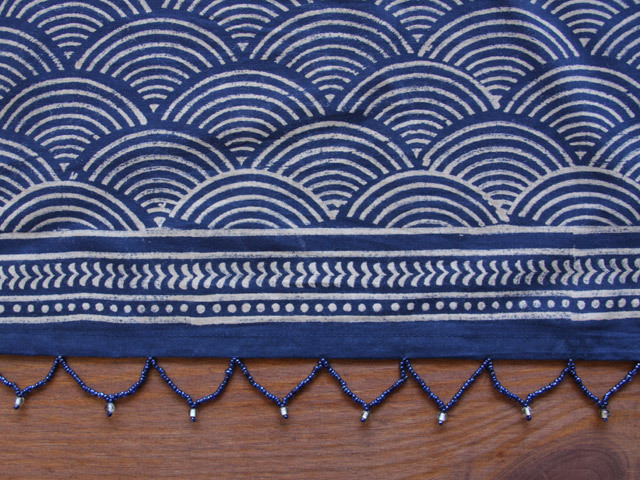 Pacific Blue is a truly special fabric not only for the rich, classic design, but because of how it is made. 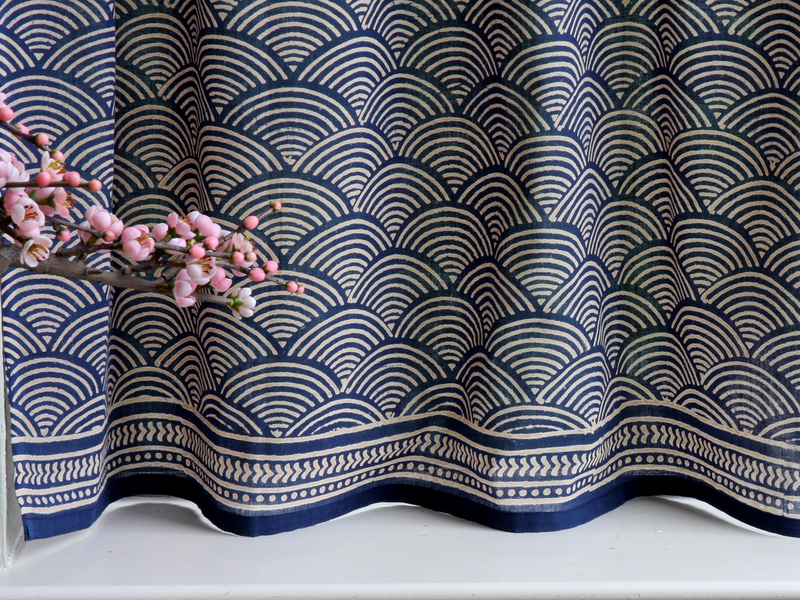 Each piece of fabric is dyed a deep navy blue, and then the wave pattern is made by removing the blue dye. 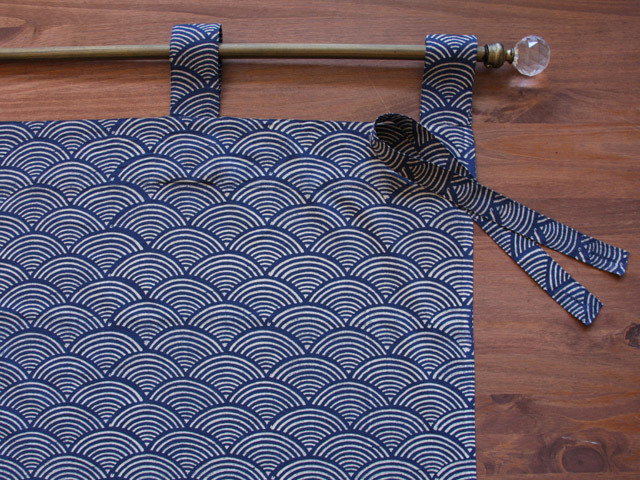 That’s right, the waves are not applied to the blue fabric, but the dye is pulled out, leaving creamy waves in its wake. 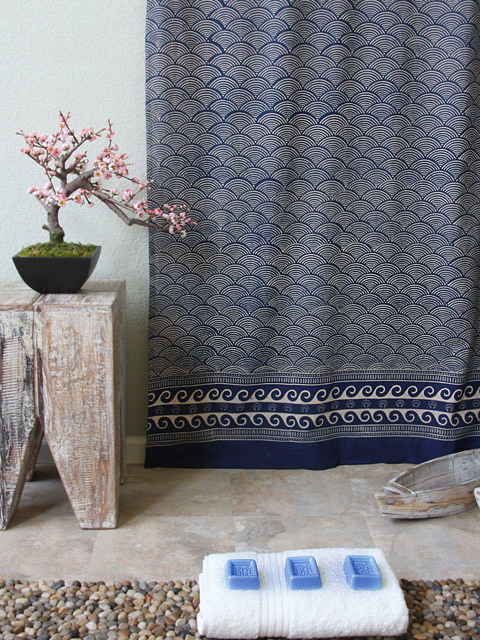 Use Pacific Blue with either California Coastal or rustic Japanese living room decor. The best way to give your space a sense of connectedness is to touch various pieces with similar pattern and color. 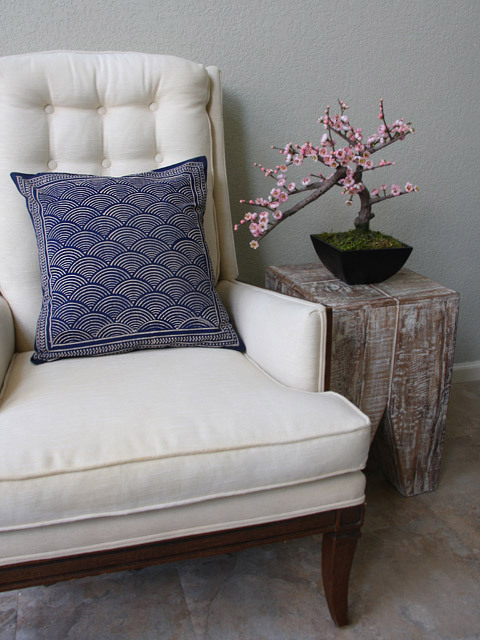 Use our cottony throw pillow cover to extend the look of Pacific Blue around the room. For this living room, choose rustic, organic lighting. 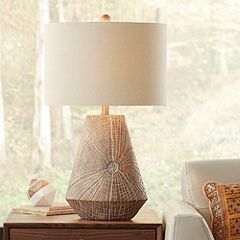 This copper tinted lamp is a well priced piece which will capture the sense of Pacific Blue beautifully. Finish the room off in stylish comfort by centering it around a great floor covering. 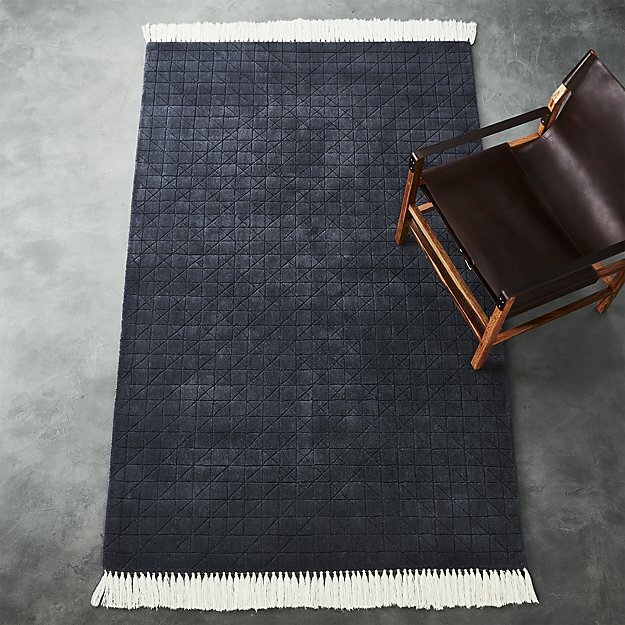 The color in this woolen indigo dyed rug from CB2 couldn’t be a better compliment to our Japanese curtains. 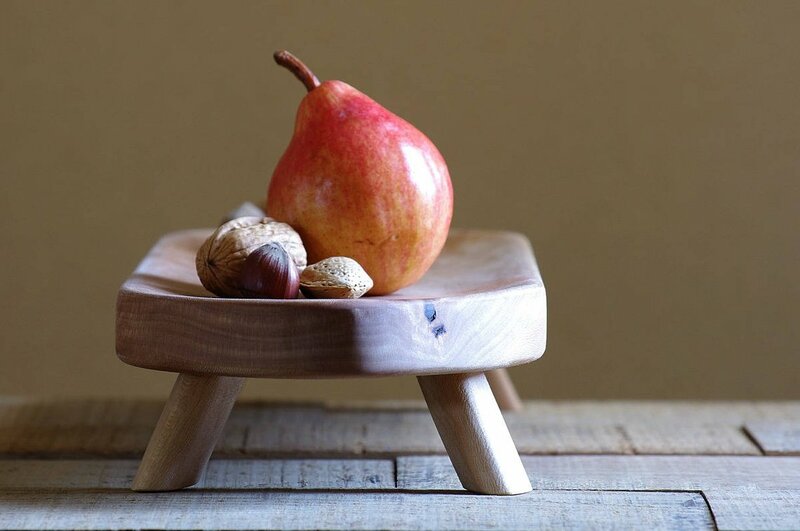 Of course, you’ll want to entertain in your cozy space, so a few snack bowls will come in handy. 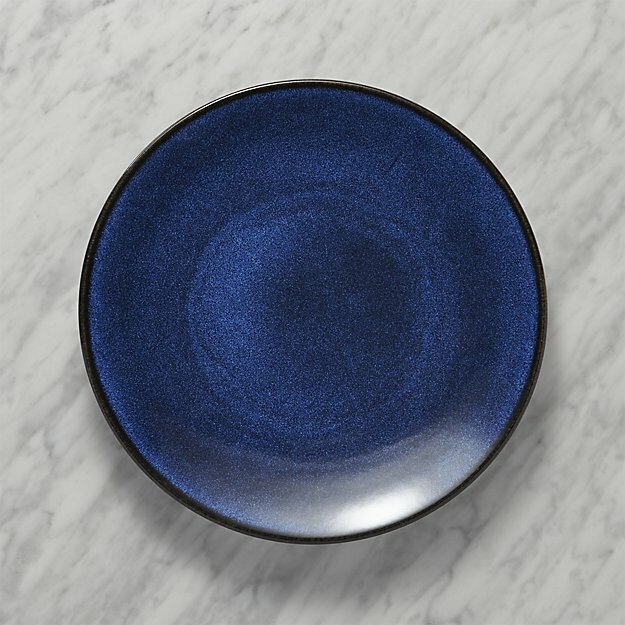 This stoneware bowl is a shout out to traditional, but boldly bright, so you can serve snacks and be stylish all at once! Accessories in our room should be as unique and eye catching as the Pacific Blue print they’re inspired by. 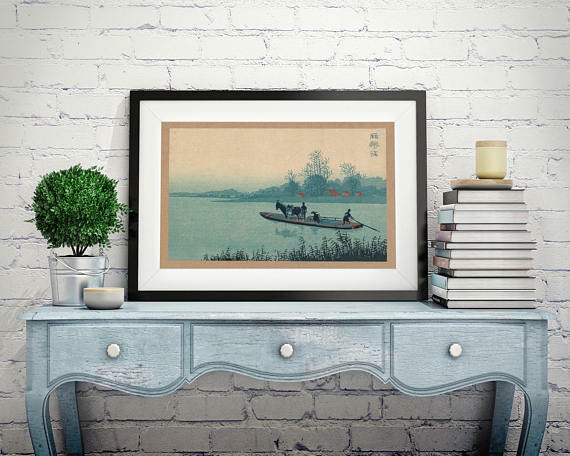 A vintage print of boats and water builds on the occidental, coastal theme we’re creating. You have been daydreaming about a bedroom like this for a long time… a peaceful retreat reminiscent of the shore, replete with rustic, natural patterns and textures. 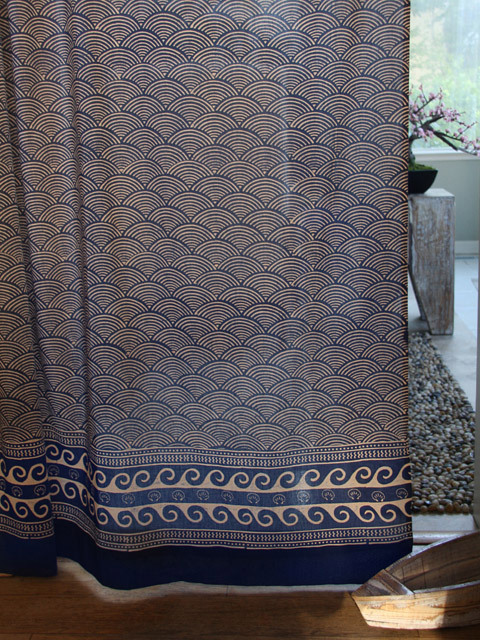 Our Pacific Blue suite is framed around a love of nature and the sea. 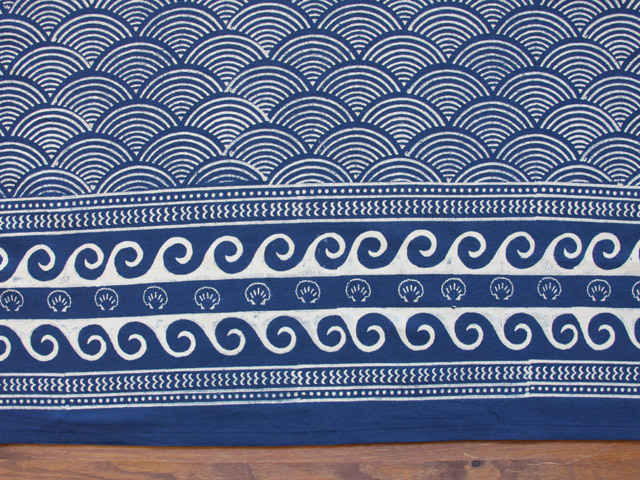 Unique in our collection, hand printed Pacific Blue is sure to find a place and make a statement in your home. 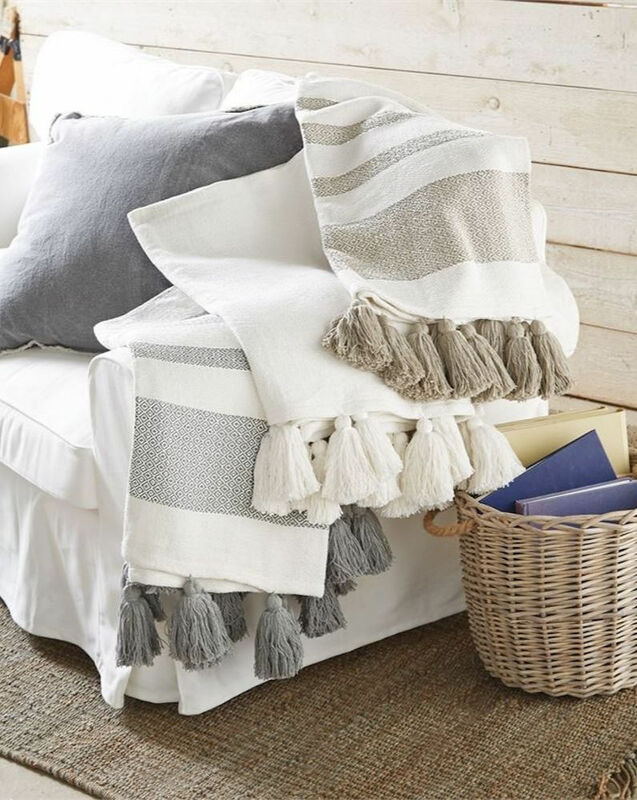 First of all, make your bed extra cozy with this beautiful throw from Mud Pie. 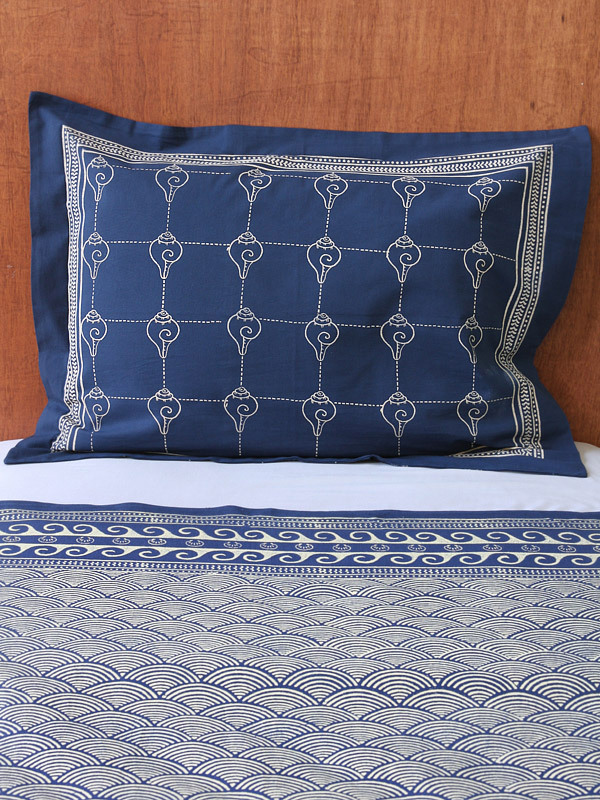 The warm cream and nut-brown stripes are in perfect balance with the indigo and ivory of our Pacific Blue duvet. 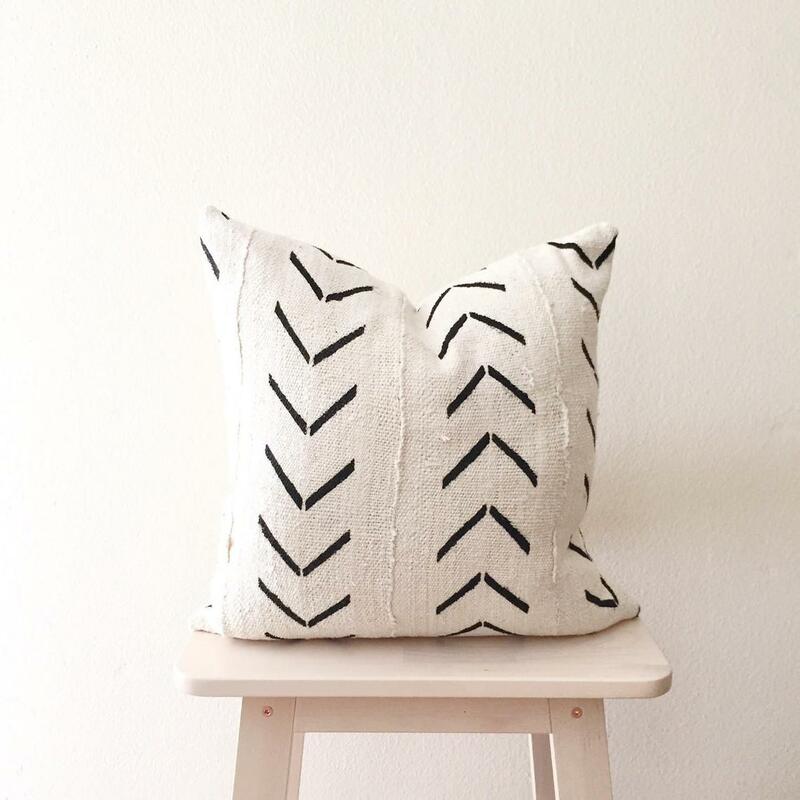 Toss on one of these sumptuous mudcloth pillows (from yet another California boutique!) to complete the natural sensuality of this bedroom collection. 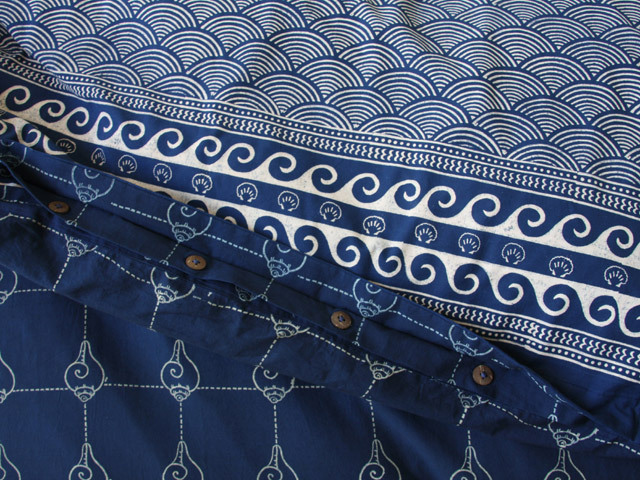 Rustic and polished natural elements come together to make a table which will resonate wonderfully with the waves of our hand printed duvet. 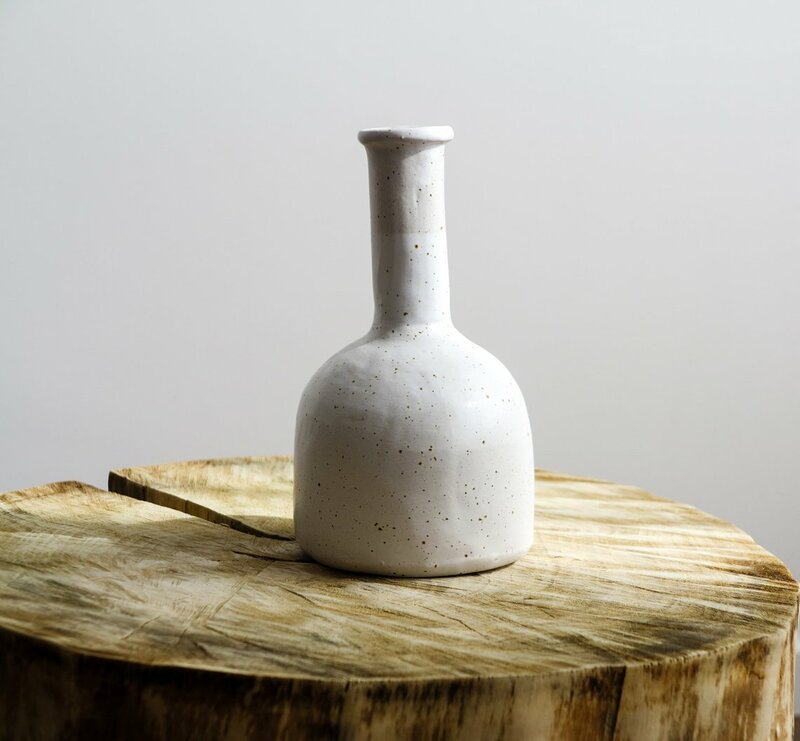 Created in a traditional manner, this gorgeous white glazed vase appears to have have been hewn from the earth. 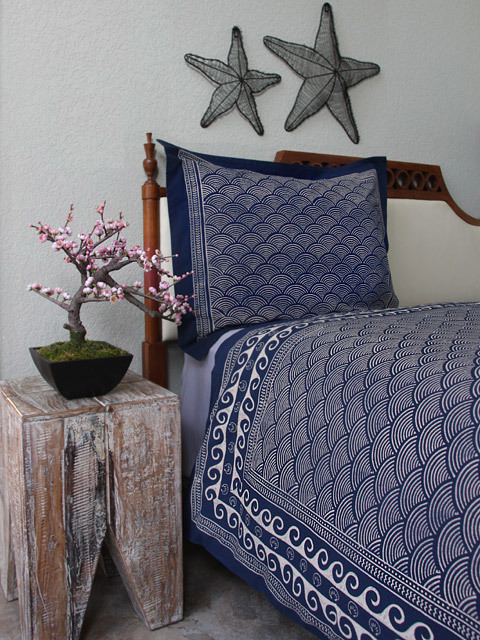 Fill with seasonal flowers or bunches of leaves to keep your Pacific Blue bedroom alive with nature, year round. Because one can never have too many plants and flowers, add a terrarium to the nature-scape in your bedroom! 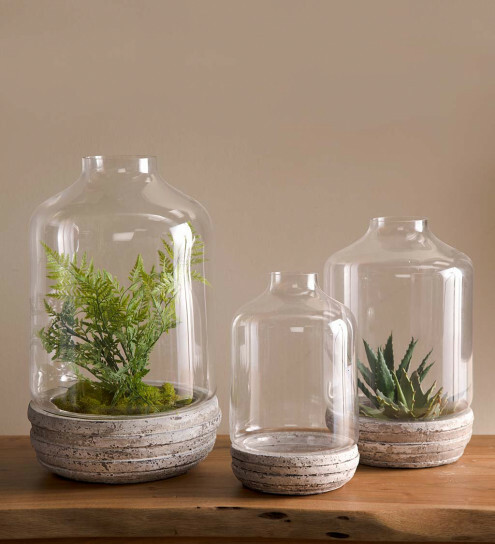 A terrarium is a simple way to introduce life and organic beauty to your space. Imagine yourself adrift on a boat, the sun on your face, the warm wind in your hair. 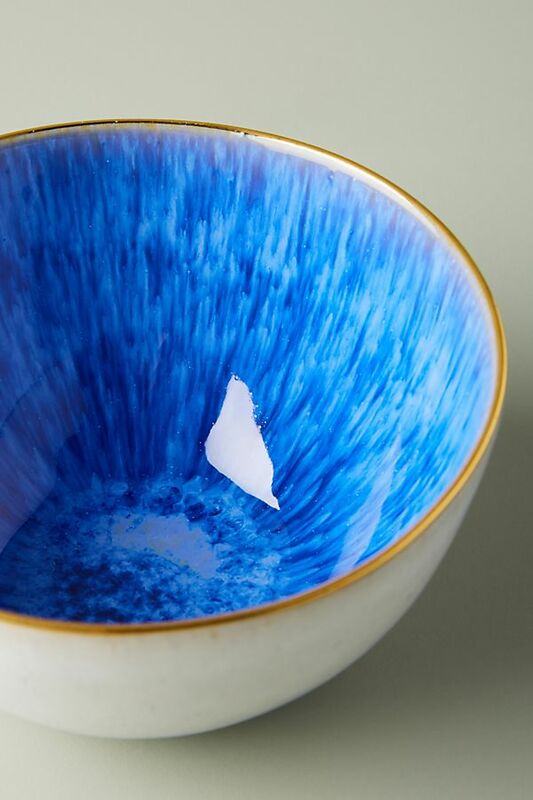 That’s the feeling Pacific Blue will evoke in the bath. 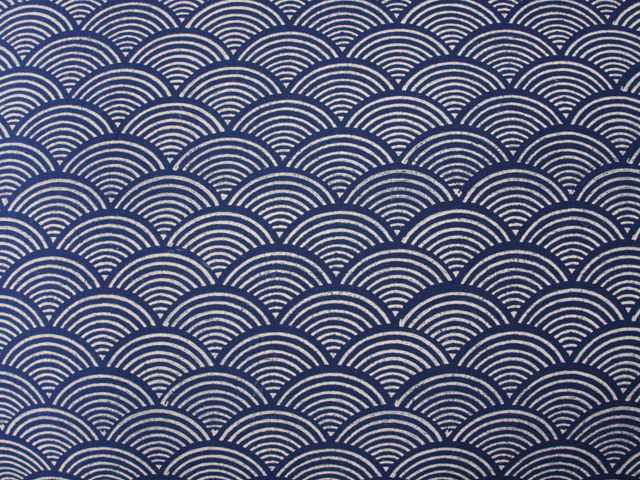 Printed in indigo and ivory, and resembling ocean waves cresting and falling, Pacific Blue creates an energized and peaceful space. 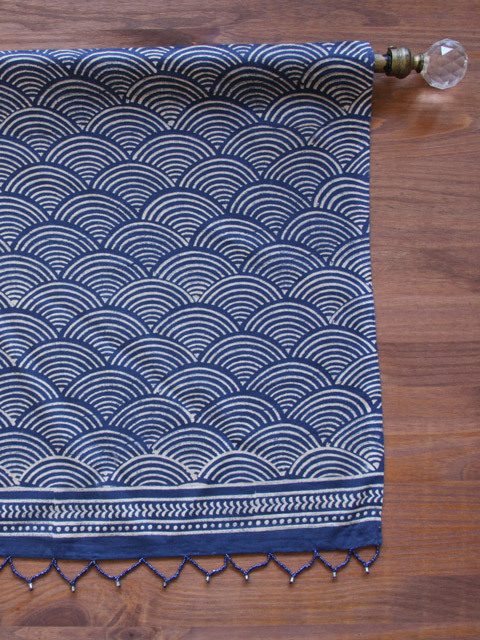 Peshtemals are traditional Turkish towels used in the Turkish baths or hammams, and are hand woven on looms in Turkey. Ooooh, just lovely for your private bath! Elements of nature, particularly in the colors of the seashore, will find an easy welcome in this bath. 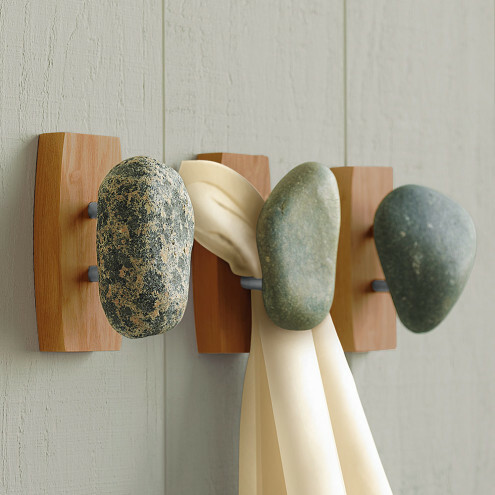 With that in mind, smooth, tactile river rocks are a perfect material – here, used as towel hooks. 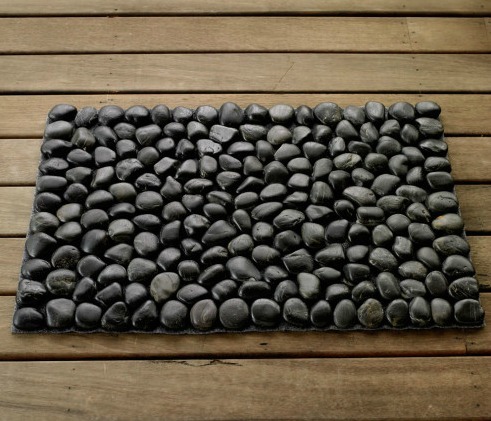 I’ve long loved the looks of these mats, but not until I stepped out of the bath, and onto one at a lovely Northern California Air Bnb, did I discover that they feel as lovely as they look! 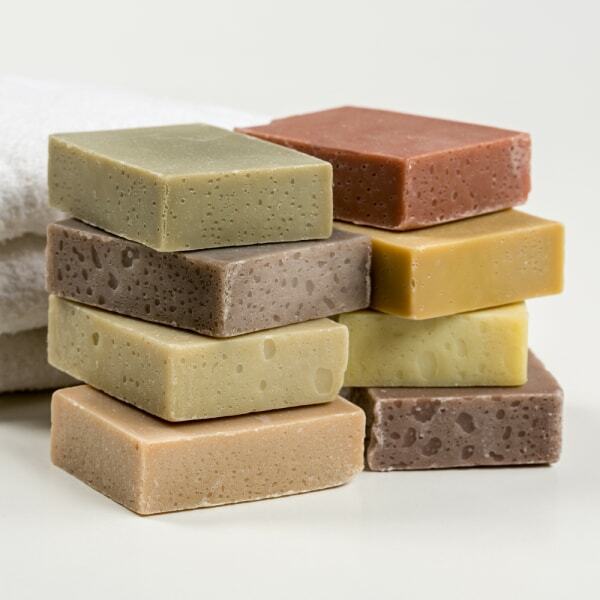 Handmade of organic and sustainable materials, and beautifully colored and scented, these muted jewels will continue to set your naturally styled bath apart! 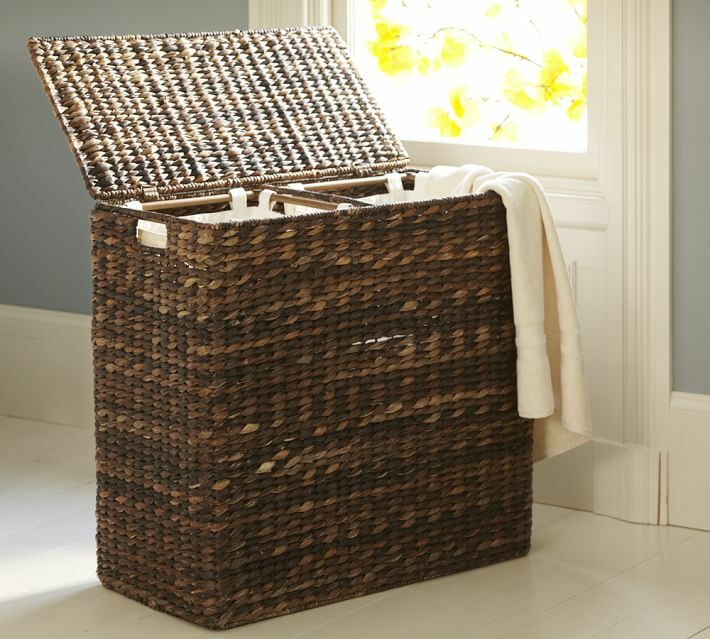 Dark seagrass will add richness and heft to your Pacific Blue Bath, and as the bath must not only be inviting, but function well, a large, but trim hamper is just the thing. If you love the look and quality of Saffron Marigold linens, then you may well want to build your style with some of our other global prints! 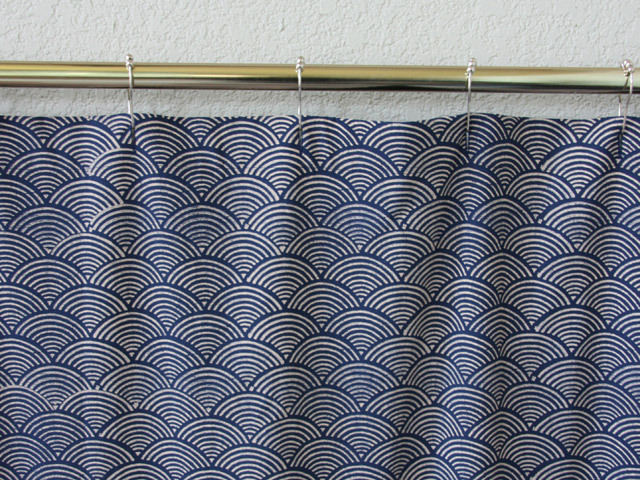 Take a look at these, which work well with Pacific Blue. 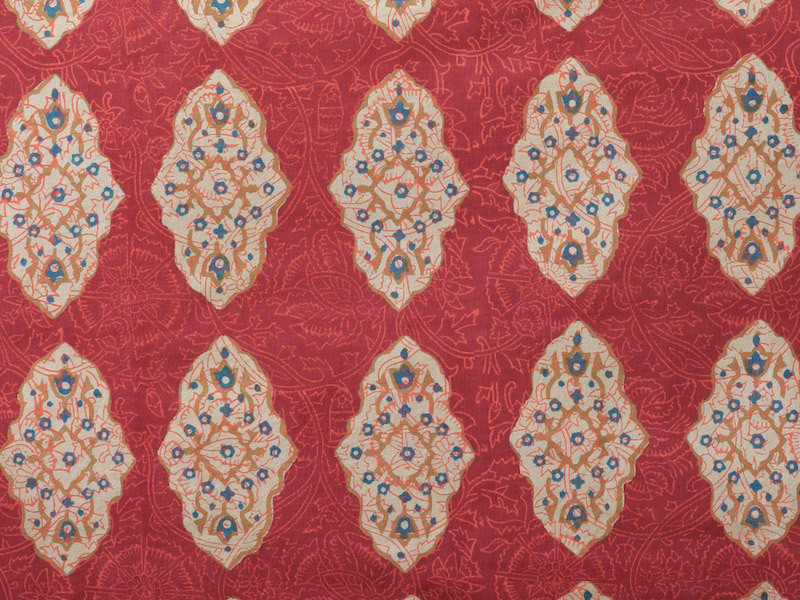 Imagine that you’ve sailed across the sea, and discovered the Spice Route – this is how the rich, bold red print will play alongside Pacific Blue. 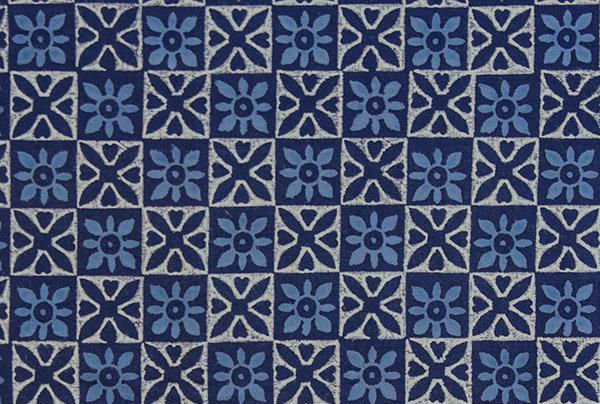 I love the muted grass green of this pattern against our dark indigo Pacific Blue. 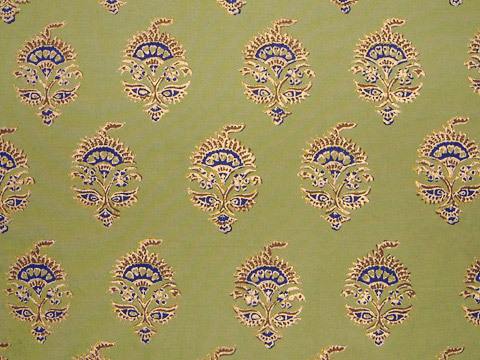 With a nod to the glamour of eastern design, this print will add a hint of the exotic to your space. 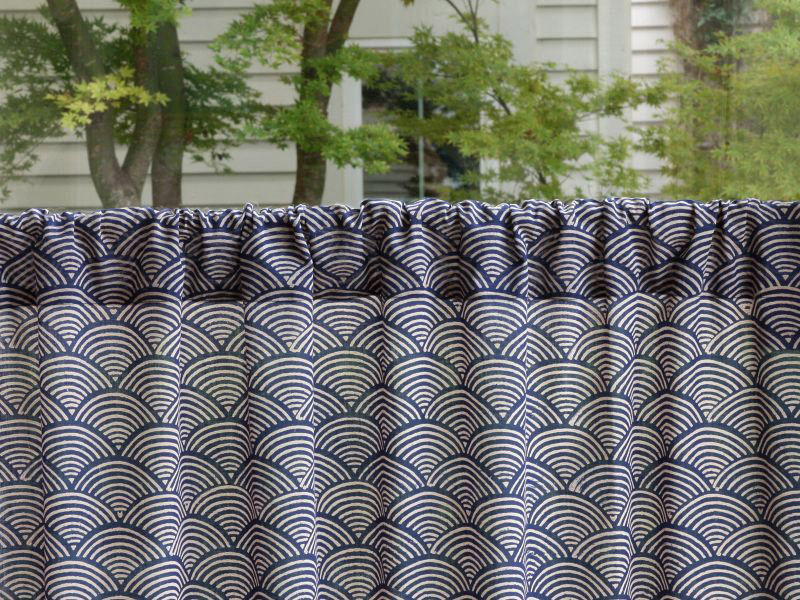 Another print inspired by the colors of sky and sea, Starry Nights, allows you to layer on pattern and color while still staying within the sense of rich, global style.